For months now, fans have speculated, and complained, about the relative lack of new material for Doctor Who’s 50th Anniversary. 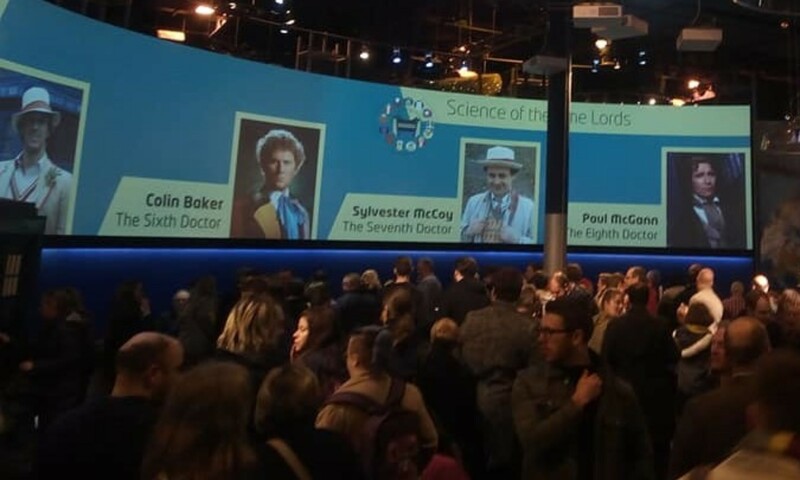 Whilst An Adventure in Space and Time, the behind the scenes docu-drama certainly looks fascinating and the anniversary special has long been confirmed, the questions haven’t slowed down. How long will the anniversary special be? Which doctors will be in it? Which companions? How does it connect to the rest of the series? Will Matt Smith regenerate, especially given the fact the show will be dealing with ‘The Fall of the Eleventh’? The questions constantly out number the answers, or they seemed to, until now. A couple of days ago, Doctor Who magazine, and the BBC, confirmed that David Tennant and Billie Piper would be returning for the special along with legendary British actor John Hurt in an as yet undisclosed role. Of course, this has led to even more questions; how will Rose return? Will Tennant be playing the 10th Doctor or the pseudo-human clone introduced in Journey’s End? Will Hurt be playing The Master? So many questions but now, the avalanche has started and more and more answers are coming to light. And with them, comes the announcement of a second spin-off project, one which looks set to take the show in a very different, and yet familiar, direction. 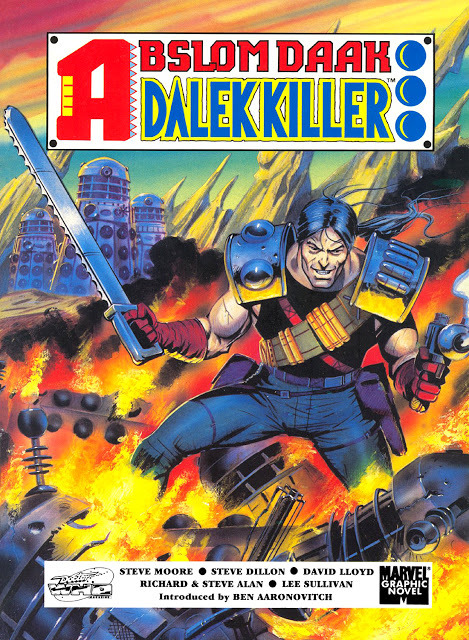 Abslom Daak: Dalek Killer. A straight to DVD movie adaptation of the classic Doctor Who Comics character. Details are sketchy about the exact nature of the plot, and complicated somewhere by Daak’s multiple appearances in various incarnations of the comic, but what we do have confirmed is this. The movie is 90 minutes long, is built around digital sets similar to those used in Battlestar Galactica: Blood and Chrome and principle photography was completed late last year in London. This was done ahead of time firstly to allow rendering of the digital sets to be completed and secondly to accommodate the filming schedules of those involved. -Daak’s origin and the death of Princess Talyin are dealt with in an opening montage. -The Star Tigers, Daak’s commando unit, are present in the movie. Harma, the Ice Warrior team-member will be played by the same actor who portrays the Ice Warrior in upcoming episode ‘Cold War’. This was done as a means of saving money and maximising investment in the new costume. -Similarly, Prince Salander, the Draconian team member, serves as a ‘demonstrator’ for the costume. The Draconians will be a major part of season 8, as will Salander. -The plot involves Daak and the Star Tigers being hired to break into a Torchwood Archive facility housing some of the earliest Dalek shells. They are pitted against various Dalek factions throughout various time periods up to and including the present day. Again this maximises use of existing costumes and also follows up on the promise made in Asylum of the Daleks to feature every kind of Dalek in existence. -Set piece scenes take place on the Dalek Emperor’s ship, in Davros’ laboratory and in hard vaccum, with Daak cutting Dalek’s off the hull of the Kill-Wagon as his team make their escape. -The movie will mark the first ever on screen appearance of Doctor Bernice Summerfield. Lisa Bowerman clearly filmed something during this time period judging by her twitter feed and the filming took place in London. This would make sense as Bernice and Daak have some small, but meaningful history in the novels. -Daak is being played by Jason Statham. Again, we know Statham filmed in London during this time and we also know he was working multiple jobs at once, including his cameo in Fast 6. Also, Statham recently publicly distanced himself from wanting a role in the new Star Wars movies, ruling him out for many genre fans. However, his continued support of British cinema, and with Hummingbird, recent move into notably different roles lends credence to him being prepared to take the role on. There are, of course,other rumours; old Doctors being Forrest Gumped into place, Danny John Jules rumoured to be playing Prince Salander and so on but for now they remain unconfirmed. What we do know is that something involving Abslom Daak is scheduled for release shortly. Whether it’s Statham or Ray Stevenson, also rumoured to have taken the role, the fact remains that Daak is finally stepping across into the mainstream Who universe and, whether we like it or not, he’s going to shake things up as only he can. The anniversary party just got a new guest and I for one can’t wait to see who he dances with. Next PostNext Comic Book Conclusion Of Dinosaurs Attack!